All distribution material is counted on arrival, to ensure the material is uniformly bundled, and the correct quantities are received, before breaking down the quantities required for each distributor. Each distributor is given the correct quantity, and allocated a small manageable area, that can be completed within a three day window. Where a client produces multiple versions of his/her flyer, we quarantine them before commencing the packing process, to ensure the correct versions are allocated to each distributor. 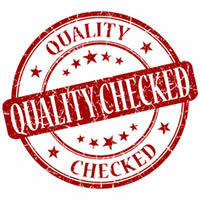 We choose only the most reliable distributors, then spot check the deliveries on completion of the distribution. Our emphasis is to give each distributor small manageable quantities, ensuring any concerns are kept to a minimum.